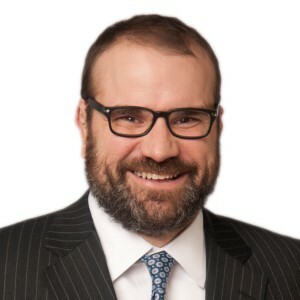 Craig M. Johnson is a Principal in the Public Policy and Regulation practice at Dentons. Mr. Johnson provides clients with governmental and legislative relations strategy at the local, state, and federal levels. He focuses his public policy practice in the areas of federal and state regulatory matters and government relations, education, health care, hospitality, financial services, insurance, technology, and transportation. He maintains offices in the firm’s New York City and Albany offices. Previously, Mr. Johnson served as a Democrat member of the New York State Senate from 2007 through 2010, representing the Seventh Senate District (Northwest Nassau County). During his tenure as Chairman of the Senate Investigations Committee, Senator Johnson undertook several investigations and conducted hearings into matters, including the investigatory practices of New York State’s Office of Medicaid Inspector General. During his tenure, Senator Johnson served on the Education, Health, Local Government, Ethics, Insurance and Racing, Gaming and Wagering Committees. In the summer of 2009, he was designated as the Senate member of the Metropolitan Transportation Authority Capital Review Board. He also served as a member of the New York State Commission on Local Government Efficiency and Competitiveness. For his public policy work, Long Island Business News named Mr. Johnson as a member of its “40 under 40” club, City & State News recognized him as a “40 under 40 Rising Star,” and the Long Island Press named him to its “Power List” for two consecutive years.